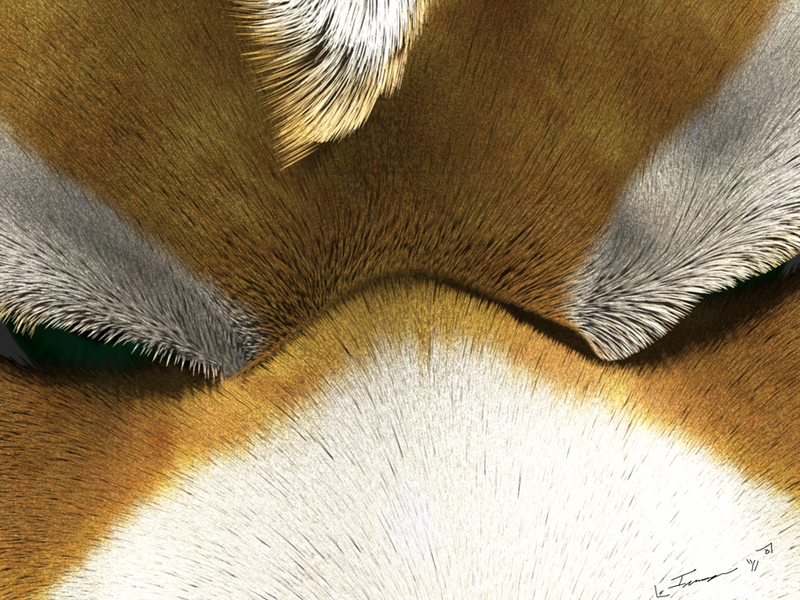 Close up of Fox McCloud mostly it was for me to see how his fur was flowing but I thought it looked cool so I kept it. LOL! If I was better at making stories. Mostly, the story is I was trying to get the fur to flow correctly and rendered this picture for my own reference. >.< Not a great story. Heh, alright.I was thinking i something extremely dramatic so it was a close up on the eyes.